You probably find the result surprising: 31% voters would rather choose to have $250K cash than $500k in the CPF. 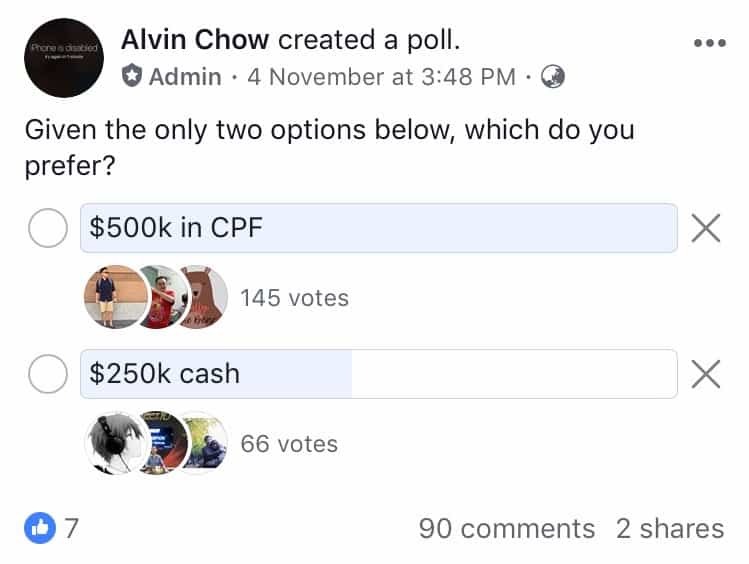 The motivation behind the poll was to get a sense on how people view monies in their CPF accounts vis-a-vis cash held in the bank. This is because CPF monies come with many restrictions and it may be natural for the public to discount that amount. In other words, we feel that $500k in the CPF is worth less than $500k in cash. The decision to forgo $250K in CPF for $250K cash may sound irrational, lack of discipline and short-term thinking. But that is only when we consider it on the surface. 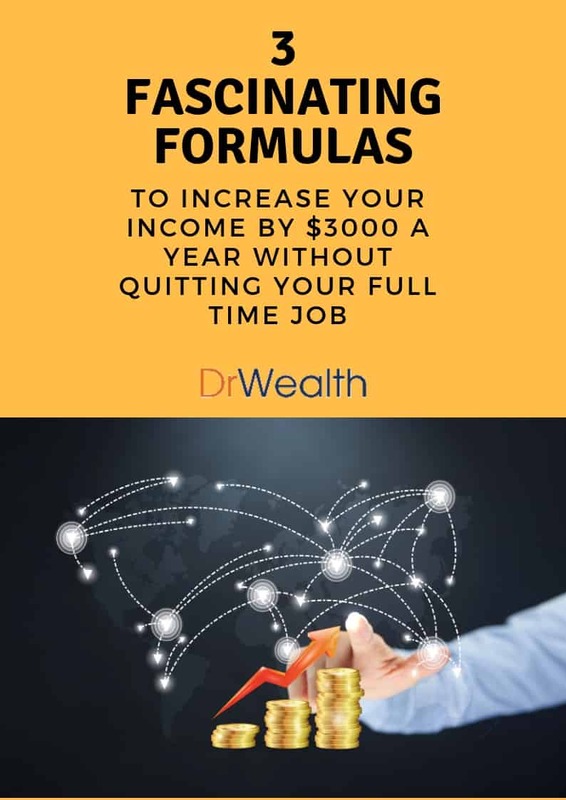 In this article, we’ll look into the figures and discuss the rationale behind it and why I’d also choose to have $250K cash instead of $500K in CPF. 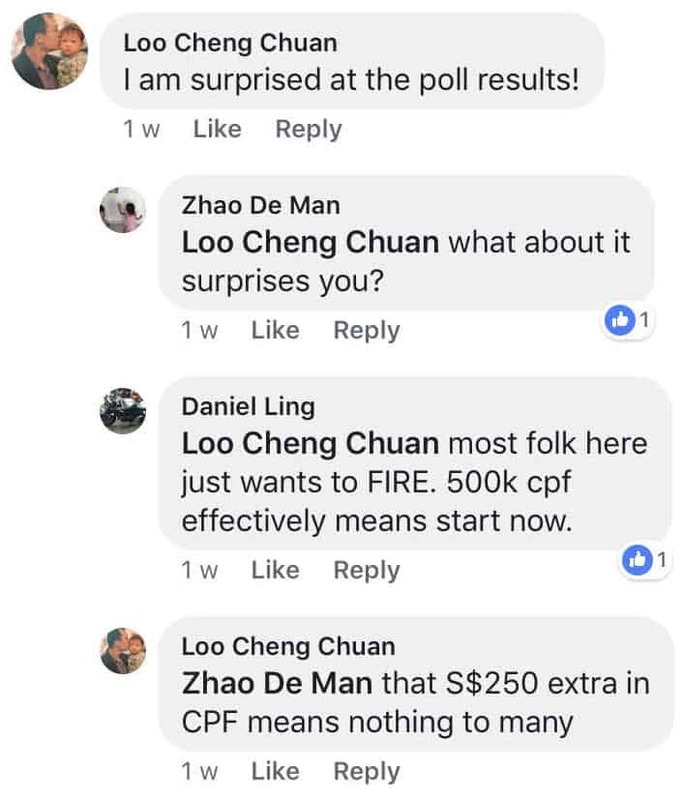 While the majority chose to have $500k in the CPF, there was a sufficiently large group of people (66 or 31% of the voters) who willingly chose to take the much lower amount of $250k cash. The fact that this is actually happening is mind-boggling to some; CPF millionaire Loo Cheng Chuan for one. Together with his wife, the 44 year-olds have accumulated a substantial amount in their CPF accounts. Loo is a keen advocate of topping up his accounts, having appeared in a number of promotional videos for the CPF board. It comes across as no surprise that he finds it hard to understand why anyone would choose to forgo the extra $250k. First I have been contributing to my CPF since I started working. My CPF savings have been growing and they are set to grow even more. I personally do not do additional top-ups as I have already met the current minimum sum and the growth of my CPF monies should be able to keep pace even as it rises annually. Secondly, I have chosen NOT to rely on the CPF for my retirement. I prefer to depend on myself to grow my own retirement fund. This retirement fund will be grown using cash. That’s how I do my mental accounting – CPF monies are not actually mine until I am able to withdraw them. Thirdly, CPF monies are restricted and I would prefer to keep my options open with the money I have. For example, not all medical bills can be paid with CPF. Investing with CPF monies is also very restrictive. I am an investor and a large part of my wealth building is through stock investment. 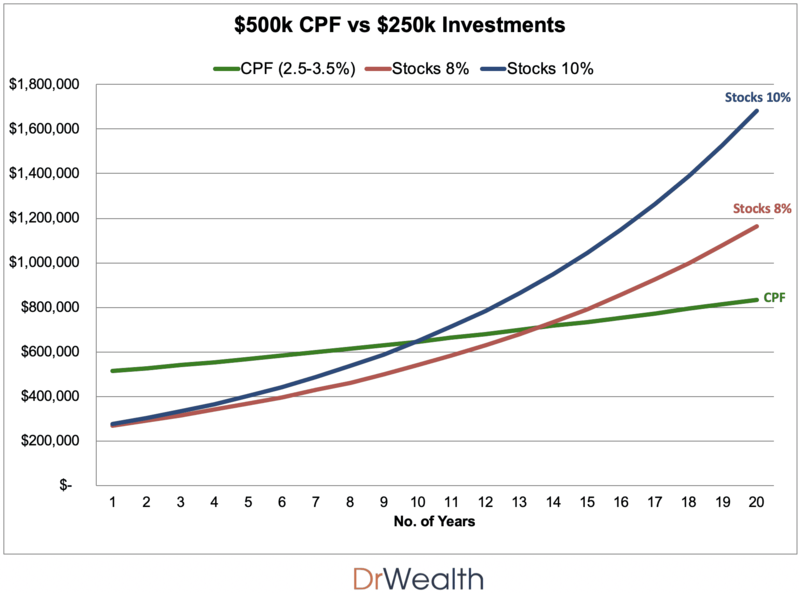 CPF SA does not allow stock investments and CPF OA caps the maximum investible amount to 30%. I am confident that in the long run, I can do much better by investing $250k of cash in stocks than to be limited by the $500k in the CPF. Here are some numbers you can consider. Imagine these few scenarios on whether you lost $250K by choosing the Cash Option. Consider on Day 1 you invest your initial cash capital of $250K in the stock market and say a conservative annual return of 8%. By Year 10 you would grow it to $539,731 hitting the $500K starting capital of the CPF Option. What about seasoned investors who can achieve 10% annual returns? For the same starting cash capital, he or she would hit $500K by Year 8. Taking it further to Year 20 and you will see the difference from Cash Option is as huge as doubling the CPF option to $1.6M! Of course, the market is unpredictable and we cannot expect it to be so smooth sailing. And not everyone has the aptitude and the appetite for investments. For many, the CPF option might well be the wiser choice. Still young and a long time before retirement which increases the risk that the CPF rules may change (higher minimum sums or older withdrawal age). Use the cash and take a reputable MBA that can massively increase life’s earnings. Not going to live long and better to take the cash now. Can grow the money faster than what CPF can offer. Nearing retirement age and get to withdraw CPF monies in a few years time. $500k could fully pay for a HDB flat easily or clear the mortgage and be debt-free. $500k would have met the minimum sum requirement and one would not need to worry about retirement anymore. 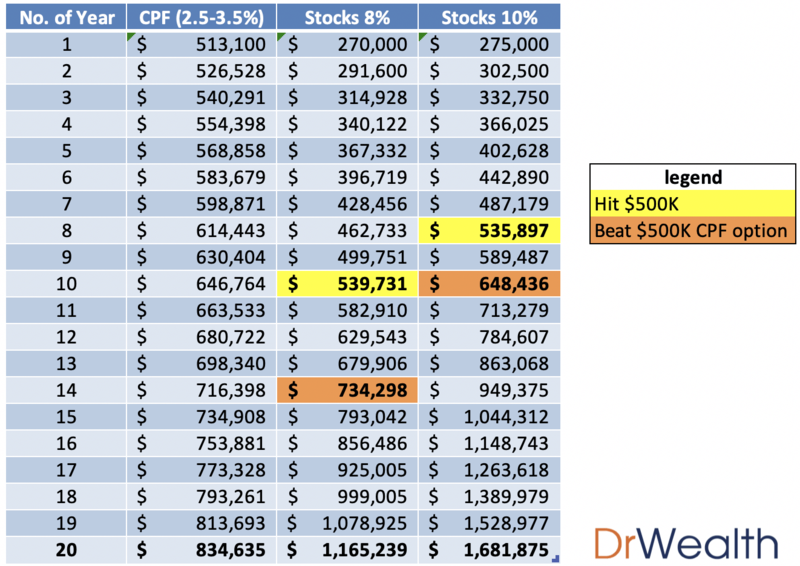 $500k compounding at 2.5% is still an attractive option without the headache and heartache of investing on their own. How Much Is $500k of CPF Monies Worth To You? This is indeed a ‘bird in hand is worth two in the bush’ problem. To some, the bird in hand is more worthy. To others, they will gladly forgo one bird for the opportunity to trap two birds. 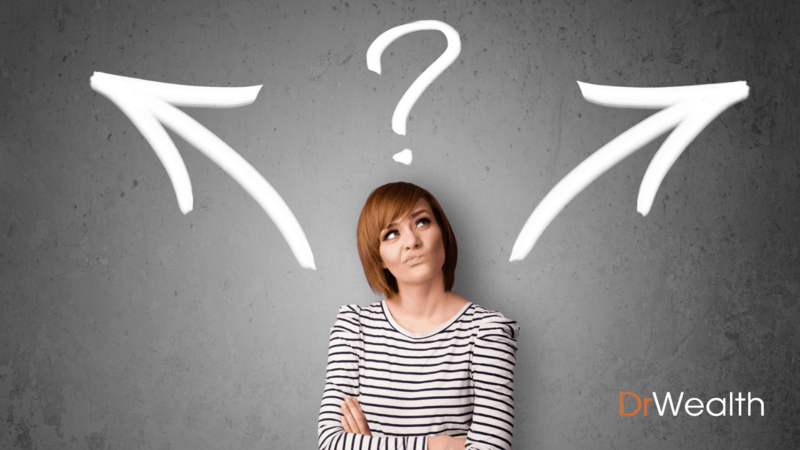 There is no right or wrong choice because circumstances are unique. There is no one-size-fits-all scenario. This is one of the reasons why CPF policies have gotten increasingly complicated. The Fund now has to serve the increasingly diverse needs of the population while safeguarding the integrity of the social safety net. What about you? Would you take the $250k cash or $500k CPF monies? And most importantly, why? Drop your comment below. 30% of $500k is $150k, just $100k shy of your $250k cash capital. how does that compare now, assuming your rates of returns? And how about form risk adjusted returns perspective? By the time I have accumulated so much money in the CPF, I would be near retirement age, and would not have so much time for my investments to grow. I would prefer 500K in cpf. That means I wouldnt have to worry about my mortgage and maybe retirement. So whatever money I am earning now I can use it for investments or even starting a business. I would choose $500k cpf fund. Keeping $250k with cpf saving & invest $250k blue chip stock to generate another income. Assuming for 8% returns, total amount accumulated would be $1.59milion balance my risk with additional returns. Lol. U think blue chip can generate 8% in return in long run? There is a reason why its called blue chip. He said 8% return is conservative. He must be the god of investing…. When you have a cryptocurrency board member sitting on your website, you doubt whether this community truly knows the difference between investing and speculating. Why not learn some basics from Warren Buffet first before advising others?